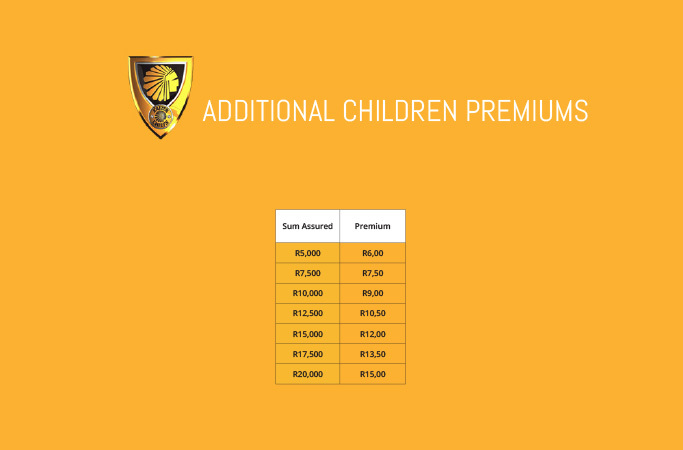 your family peace of mind. 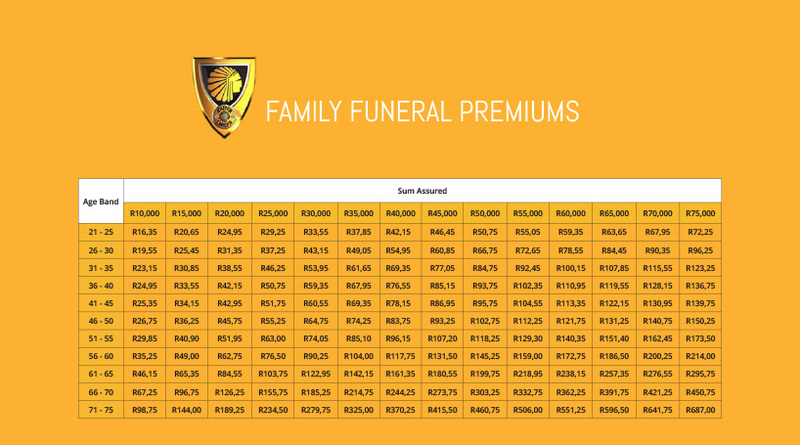 When you or someone in your family passes away, make sure that the funeral expenses does not add to your family’s burden. The Kaizer Chiefs Funeral Plan pays out a cash lump sum on your death or the death of a family member covered by the policy. 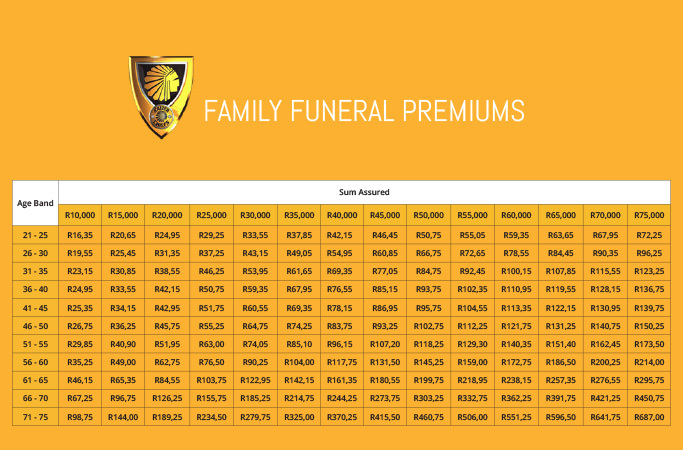 • Family funeral benefit Up to R75k pay-out for your partner & up to R20k for each child. (must have valid driver’s licence). 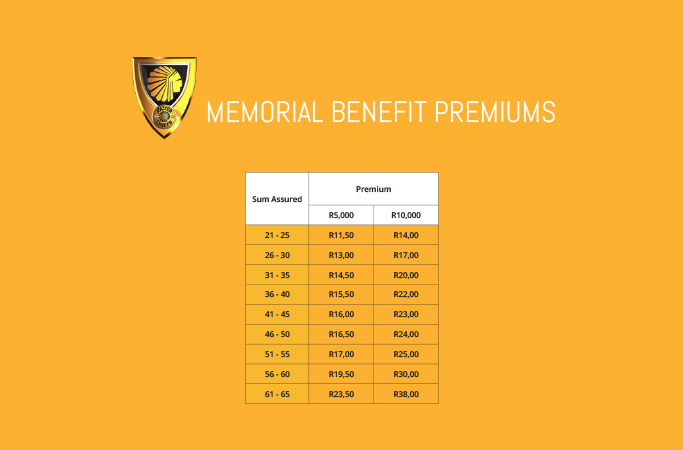 • Monthly provider benefit Get up to R1200 per month for 12 months after passing, to help the family. 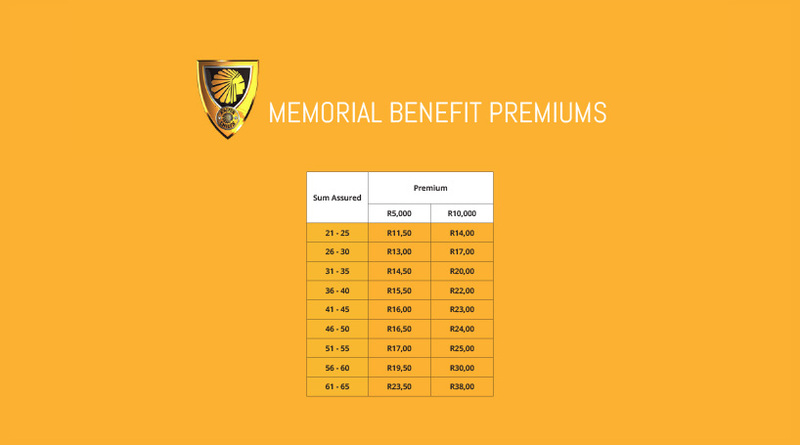 • Memorial benefit Up to R10k one year after your death to assist with expenses for the unveiling ceremony. (only for under 75 years of age). Even a simple burial can cost more than a full month’s salary. 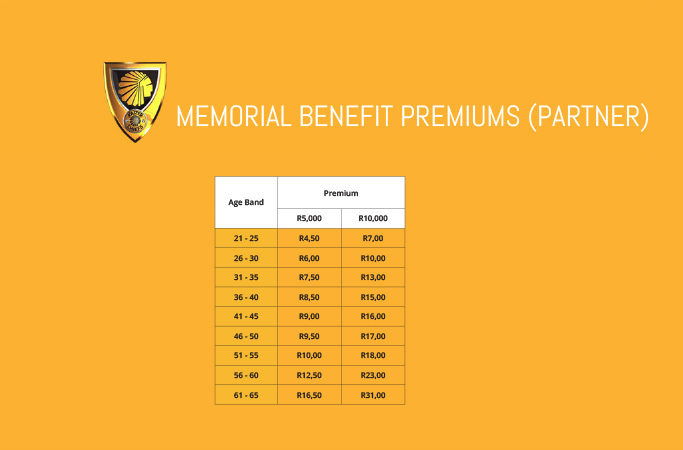 The Kaizer Chiefs Funeral Plan provides genuine financial help during such a life changing experience. 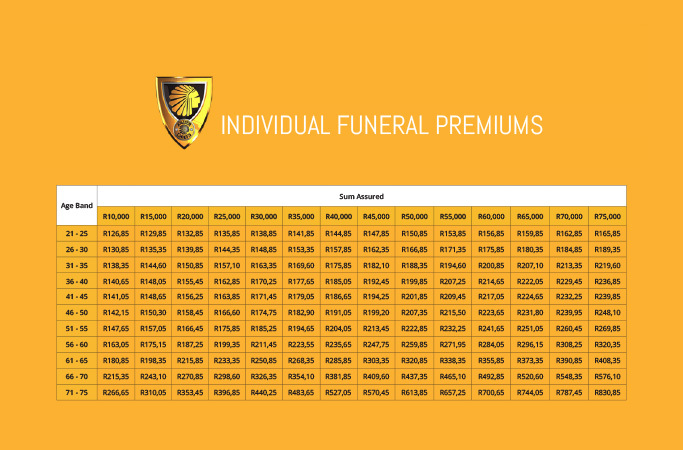 The individual funeral plan only covers yourself, you have the option to cover your partner and children by adding the family funeral benefit to your individual plan. 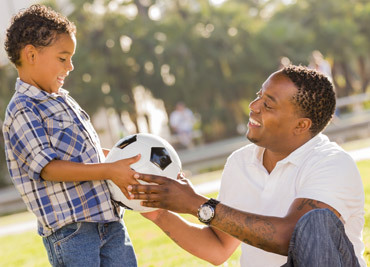 This will make sure that any financial worries will be the last thing on your mind during this very difficult time. 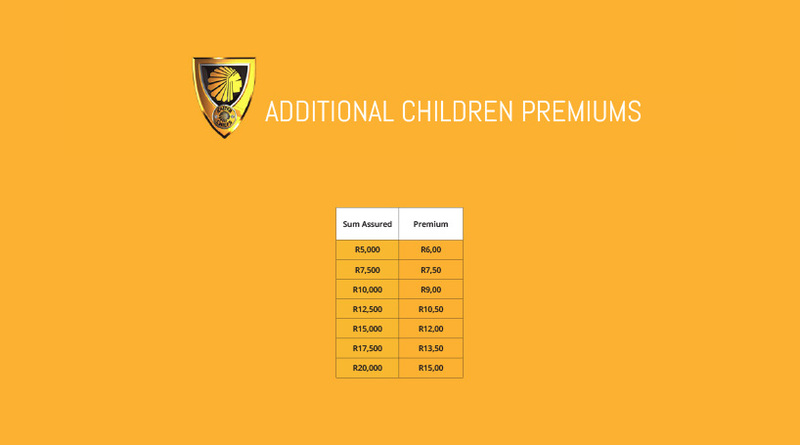 For claims and direct contacts details please see below. 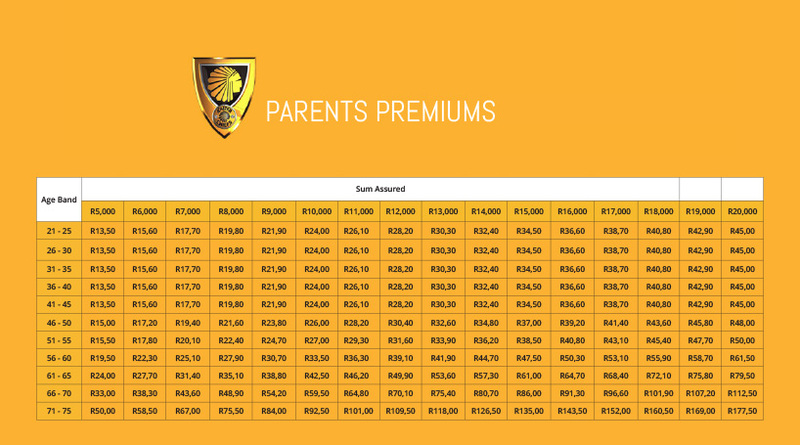 © | All rights reserved Brought to you and Underwritten by Hollard Life Assurance Company Limited. An Authorised Financial Services Provider. Terms and Conditions apply.